Manchester has a rich history when it comes to combat sports. Ricky ‘Hitman’ Hatton was the first to really put the city on the map when his staggering stoppage of linear light- welterweight champion Kostya Tszyu in 2006 announced him as a major player on the world stage. Fellow pugilists Anthony ‘Million Dollar’ Crolla and charismatic former world heavyweight champion Tyson Fury have followed in Hatton’s footsteps in recent times, cementing Manchester as somewhat of a hotbed when it comes to combat sports. There is a new contender for the title of ‘fighting pride of Manchester’ however, and he is much more likely to choke you unconscious then knock you out. Mike Woodhall initially began his journey into martial arts, aged 13. 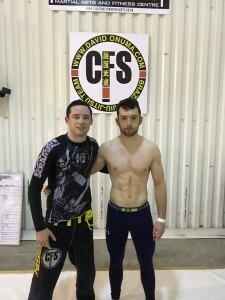 His brother competed in Muay Thai, and while he was keen to do the same, the lure of a kickboxing academy that opened near his home in Chorlton was too much to resist. Despite only taking up the sport in 2011, Mike quickly rose up the ranks and was able to capture his first medal, silver at the Grab and Pull Midlands Open, in 2013. 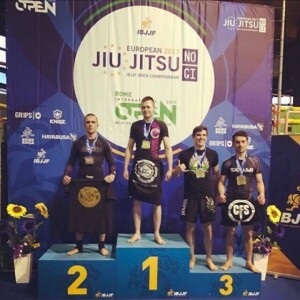 He followed this up with a solid competition showing in 2014, grabbing gold at the North West Open and a silver at the IBJJF Paris Open, as well as being consistently on the podium in 2015. He continued: “I was only able to get in a couple of months of good training, after recovering from a broken arm I suffered towards the end of last year, so with that in mind I’m very pleased with my performance in Rome, and just goes to show that all my hard work and preparation paid off. "I make a lot of sacrifices to be able to compete at the level I want to, such as not being able to go out with friends, constantly having to watch what I eat, long days at the gym and having to pay out of my own pocket to travel all over Europe competing, which isn’t cheap. “I like to stay busy and consider myself quite a prolific fighter. 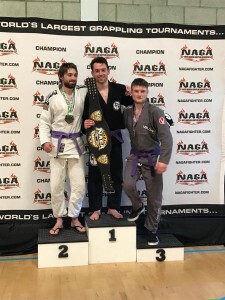 I competed at NAGA the week after the Euro’s and was able to capture the belt, submitting all of my opponents. Luckily, I’m fighting a lot closer to home this weekend at the Manchester Open. Mike will be competing at Belle Vue Leisure Centre this Sunday from 10am, tickets available online.